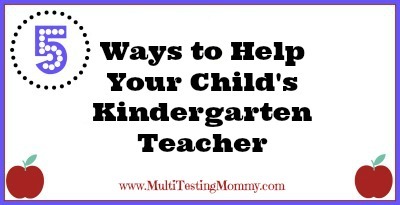 There are many ways that you can help your child’s Kindergarten teacher! Below, I have shared just a few key points to consider prior to the first day of school. Send your child with a LARGE backpack – YES, this backpack will look like it is bigger than your child, but it will hold and protect everything that it needs to throughout the year and THAT is important! Communicate regularly – be sure to check your child’s backpack daily for any communication from your child’s teacher. Also be sure to share important information with your child’s teacher whenever necessary. This includes when they aren’t feeling well, when they are particularly tired, when something is bothering them emotionally. Label everything – My rule of thumb to follow is: If you want the item returned home, be sure to stick on a label! 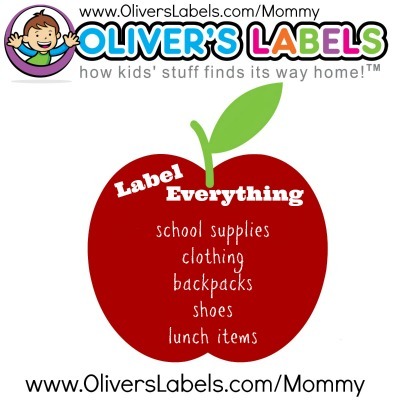 I am an Oliver’s Labels Agent, so if you have any questions about labels, please feel free to contact me. Send indoor shoes with VELCRO! – There is often only one or two adults in a Kindergarten classroom at a time, with typically 30 children. That is A LOT of shoes to tie if they were all shoe laces! Practise opening and closing all lunch and snack containers – Be sure that your child can open everything that you send in their lunch bag independently. Again, there is typically only one adult in the classroom during food consumption and there are a lot of hungry children who would require help if they couldn’t open their food containers. Pre-open wrappers if you send packaged food and teach your child how to open and close all other containers including water bottles! Learn how to JOIN NOW by clicking on the image above! Over the past few years, I have written a few other articles about Kindergarten parents that you may wish to read as this is a topic that I am very passionate about, having spent a number of years as a Kindergarten teacher and having two children of my own complete Kindergarten. If you have any questions about sending your child to Kindergarten, please feel free to Contact Me! I LOVE to talk to Kindergarten parents about their children and school! Good luck and sending strength and hugs your way! Tagged kindergarten, kindergarten preparation. Bookmark the permalink. Really good information!!! The easy shoes and containers tip is so important with the sheer number of students we need to get around to support during transitions and meal times. Good list, thanks! Thank you, Ms. Key! If you have any other super important tips, please let me know! I remember how difficult it was as 1 teacher, NO EA and 28 children who were all asking for my help to open up snack containers and packages! Superb article! Letting our kindergarten children’s teachers know special things about our little ones, be they health, social, psychological or physical is so important and can make the difference in our children’s first year of school. Yes! Home/School communication is extremely important in the success of a child’s school year, regardless of how old they are, but particularly when they are younger! All great tips! Labelling is tedious but so important, love that it is easy to buy labels these days! It really is tedious, but SO worth it in the end if you want all items that you send to school to return back home! You can never go wrong with labelling, although I cringe when parents put labels with first and last names on their little ones and send them off into the universe. Scary. Thanks! These are all great tips! You’re welcome! Good luck, Amy! Some folks don’t realize just how much work it is being a kindergarten teacher… I was fortunate to have my boy in a school that was very inviting to parents to “come on in” and check things out or help out…whenever! Great tips here, every little bit helps! All it takes is one morning in a Kindergarten classroom and many parents gain a while new respect for the teacher! These are such great and necessary ideas! When I taught school, I spent my whole lunch opening the students’ containers/packages! YES! All these points are really important. I know the Winter months are so hard for them with the snowsuits, boots, hats, mittens and scarfs. Yikes! Oh yes, the winter months are the worst! I am so glad these days are over. These helpful hints are good. Kudos to those teachers that have the patience to do their jobs, day in, day out. Every parent of kids starting Kindergarten should read this! You’ve got it! I showed this post to my daughter, my grandson will be starting Kindergarten in a few days, she really found this post to be helpful, too! I am SO happy that it helped your daughter 🙂 That is GREAT news – made my day! That’s my goal – to help others! I love this…any way we can help teachers – who are already over taxed is a good thing. LOVE that you want to help the teachers! When we help them with these simple tips, we free them up for helping our children LEARN! These are such wonderful ideas! Thanks ! Communication is the biggest help of all time, and making it “easier” for the teacher with the little things (like velcro shoes). Have your child’s stuff prepared the night before, look at their stuff when they come home. Help whenever you see the teacher needs it. Oh dear, your poor grandsons! That would be REALLY hard to swallow as an excited child. I’m sorry. Thanks for sharing it with your sister, Christy!